I promised I would have a new website for you in January and I missed my own deadline! I was born at 11:59p. I like to joke I was a born procrastinator. But, truly, this wasn’t at all about procrastination. A little perfectionism maybe..and some life and business hurdles that I wasn’t expecting. And, I will admit, also a good dose of fear about launching something new and very personal into the world. (owning a business is an extremely personal endeavor – don’t let anyone tell you otherwise) BUT I feel really good about what I have created and I feel ready. Even if I am a bit shy about sharing it with you! First, you will notice a new logo. It is lighter and freer than the last. This mirrors a huge shift within me in the past few years. I have said goodbye to many things in my life that I was no longer fulfilled by. Play, creativity and whimsy have taken their place. A very welcomed and fun change! This entire website expresses my creative muse. The images of me were taken by my dear friend, Matt Carroll, who believed in my zany idea as I showed him photos that I wanted to later photoshop myself into. We had a lot of laughs with an empty room and whole lot of air for props. YOU try pretending to walk a tightrope … without a tightrope! I think we did pretty well. And, I have a feeling this will be a new era of expression for me. I hope you enjoy the fun and whimsy these images represent. You will see brand new coaching programs and packages. And, you will notice that each coaching program now incorporates aspects of play, fun, adventure and the magic that life offers. Even the more serious topics of career and business. Coaching programs are now longer and include more time with me, which so many of you have requested over the years. VIP clients will even get experiences built into their coaching. I asked myself last year what my business would look like if I incorporated more play. 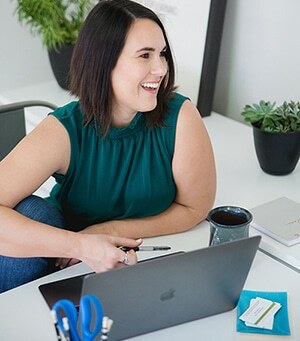 My answer was to connect each of my clients to what they want to be connected to in a tangible way, which means enrolling you in specific experiences to illustrate how you WANT to feel and live. I am so looking forward to providing you with more value and depth in our coaching sessions. Something BIG that I am introducing is a wellness component. This part of the website has been a dream of mine for years. When I started becoming restless, my health also dipped into an area I wasn’t used to. I was chronically sick with head colds, flus, heart palpitations, etc. Not very fun. My body has always been a big indicator of when stress/unhappiness is crippling me. So, I listened. I have always had a passion for alternative medicine and I have always wanted to connect the general public with information on basic wellness that you can do at home for you and your families. So, I’ve begun a video library of quick tips that you can reference to begin changing your habits. And the best part is that every practitioner is licensed or certified so you can rest easy knowing they have been trained. This is a big piece that I have been working towards and I have big plans for it over the next few years. Okay, I can’t stand it any longer. Go have a look! After you’ve spent some time here, let me know what you think! I’d love to hear from you.